In addition to the epidemiology presentation this morning at SUNY Geneseo's 9th Annual GREAT Day symposium, I also presented a poster with Matthew Taylor on the use of computer vision in the localization of fluorescently labeled genomes in the extremely polyploid Epulopiscium sp. Type B. As a test-case for this technology, we used the coordinates for the localized chromosomes to estimate the chromosome density for cells during different life stages. For those interested, the poster is a good read. As a part of our presentation, we presented a 3D model of chromosomes localized from a cell that forming daughters. The model is rendered in WebGL using the three.js library with support for both mouse and Leap Motion control. Figure 1: Live demonstration of 3D chromosome distribution generated using computer vision. This figure is a live 3D demonstration of the spatial structure of an Epulopiscium cell's chromosomes. This model can be rotated by clicking and dragging or by using a Leap Motion. No, seriously. Try it. Today was SUNY Geneseo's 9th Annual GREAT Day, a college-wide symposium of creativity and academic research. This morning Mathew Taylor and I presented our metapopulation network model for simulating international the spread of Ebola via aviation. Using real flight data donated by FlightAware, airport data from OpenFlights.org, and a gridded population of the world, we constructed a model consisting of over 3,000 airports, 82,000 routes, and over 4 billion individuals. Using this model, we tested the efficacy of country-based flight regulations in preventing the international spread of Ebola. This past weekend was UP-Stat 2015, and with it was this year's data competition. I keeping with this year's theme of "statistical modeling in the era of data science," this year's data competition was an analysis of traffic data collected from the intersection of Culver Road and East Main Street in Rochester, NY. I decided to take a stab at analyzing the data with my friends Matthew Taylor and Tom Hartvigsen, and our analysis was presented as a finalist at the conference! Feel free to read our report. If you are interest in our analysis or the competition data, it is available on github. Due to the nature of the data analyzed this post contains strong language. The pseudo-anonymous messaging app Yik Yak has been making waves in high schools and college communities for the last year, with officials and community claiming that the application promotes bullying and hate speech. In March of 2014, Dr. Keith Ablow wrote an opinion piece for Fox News stating that "Yik Yak is the most dangerous app [he'd] ever seen." SUNY Geneseo, a small rural college with a campus population near 5,000 students, has a burgeoning Yik Yak community with hundreds of users. Like other college campuses, Geneseo's campus is in the debating the social pros and cons to the type of anonymous forum that Yik Yak provides. 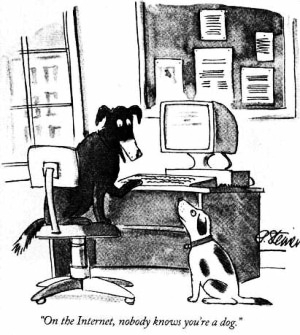 Figure 1: Peter Steiner's famous cartoon published by The New Yorker on July 5, 1993. Steiner's comic showed the general transition of the Internet out of the hands of purely government and academic use into the hands of everyday individuals. It also touches on the pseudo-anonymous aspects of Internet culture providing a disconnect between individual identity and community membership. Regardless of the rhetoric and vitriol surrounding the app and cherry-picked examples to be lambasted by the media, very few people have put their money where their mouth is in terms of the content on Yik Yak. Is Yik Yak really as socially dangerous as Dr. Ablow would have people believe, or is it simply a diverse and vocal community like other social networks? In a continuation of understanding models of life, one of the most interesting cellular automatons is a two dimensional "life-like" automaton. The first life-like automaton was created by John Conway in 1970, and was published in the October 1970 release of Scientific American. The intrigue that surrounds the automaton comes from the emergence and self-organization of highly complex patterns as the simulation evolves. As a result, these automata have attracted the interest of computer scientists, mathematicians, biologists, and physicists. 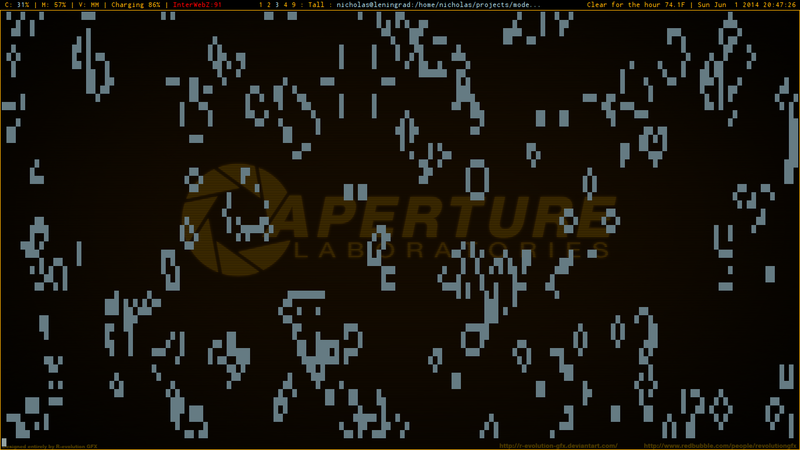 Figure 1: An example of life-like cellular automata. This simulation is represented as Unicode characters from an automaton implemented in python. White characters represent cells that are alive. As the simulation progresses, it approaches a state of stability and order. Some patches of complexity remain and migrate through the world. Let's examine the rules of Conway's cellular automaton and see if we can implement a simple life-like cellular automaton in python. By Nicholas Yager. 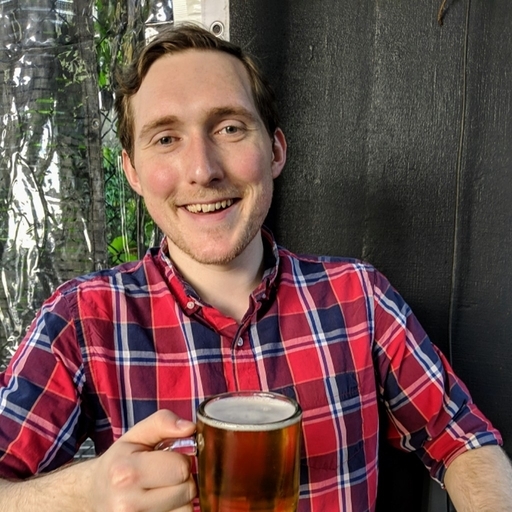 I am a software developer and data scientist specializing in stochastic simulation and dynamic systems. I research computer vision, home automation, and computational biology. Recently I have modeled the effects of social media on population opinions, and implemented a DBSCAN-based algorithm for localizing chromosomes images with fluorescence microscopy. In my spare time I explore new technologies, analyze interesting datasets, and tinker with digital electronics.